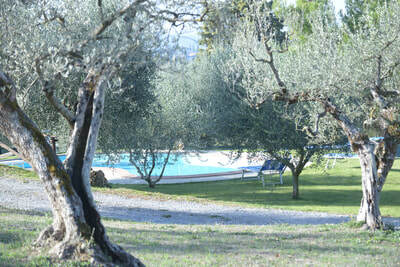 VILLA GLI OLIVI is a self catering holiday LUXURY Villa with private pool on the Umbria-Tuscany border. It is the perfect place to relax and enjoy a luxury holiday in privacy, space and comfort. 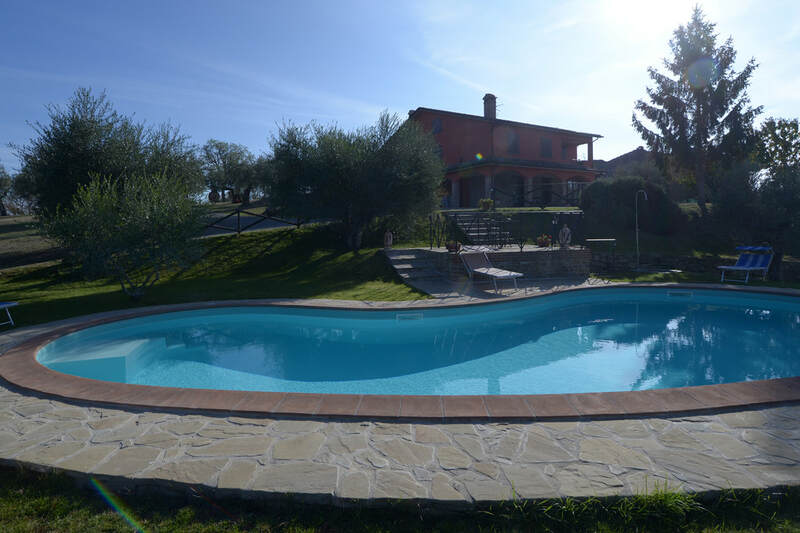 Encounter the rural culture of this charming undiscovered region of Italy in an authentic stone villa, with pool, that has been recently renovated to the highest standards to create a home from home. 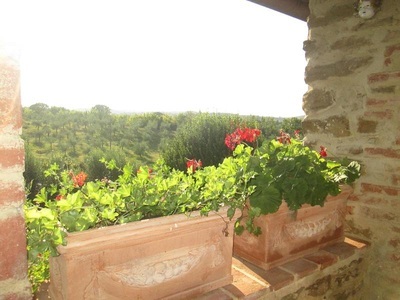 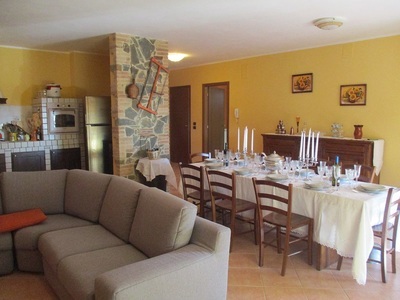 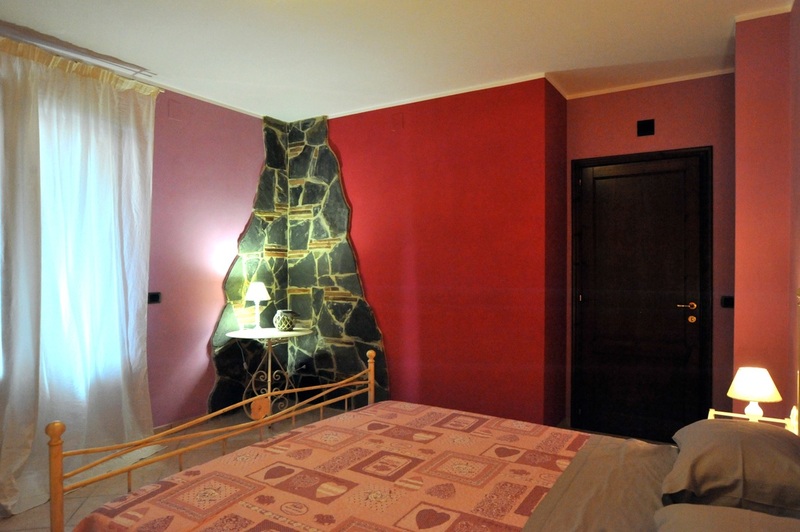 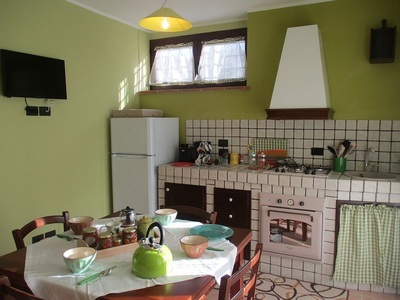 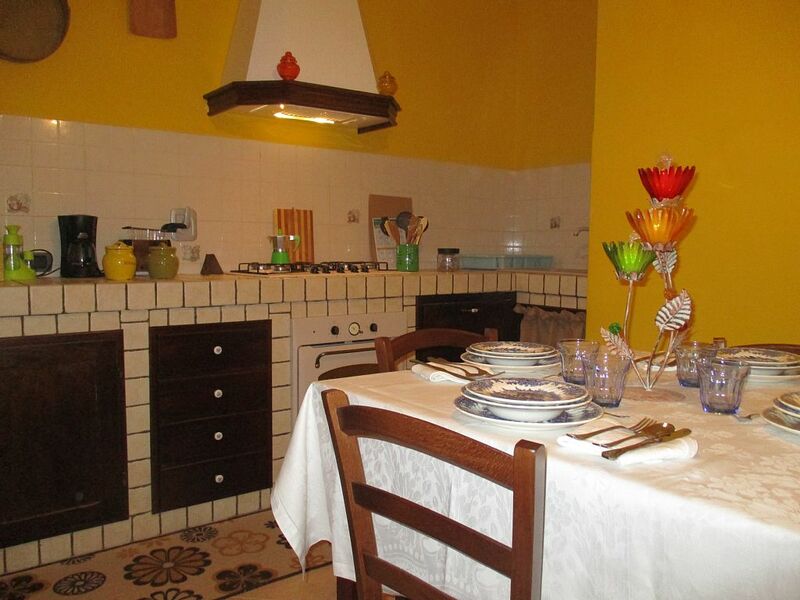 Formerly a farmhouse - 10 minutes drive from the main Piazza of Panicale. 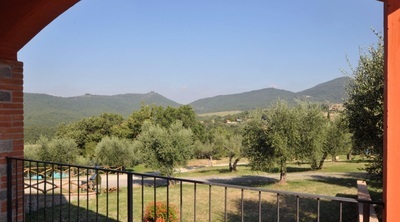 Enjoy the peace and tranquility, breathe the clean hill top air, hear the birds and cicadas and admire the breathtaking views from the extensive south facing terraces catching the sun all day long. 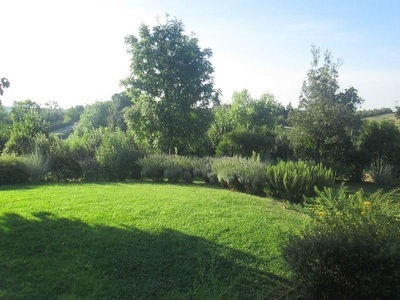 No traffic noise except the occasional farm car or tractor. 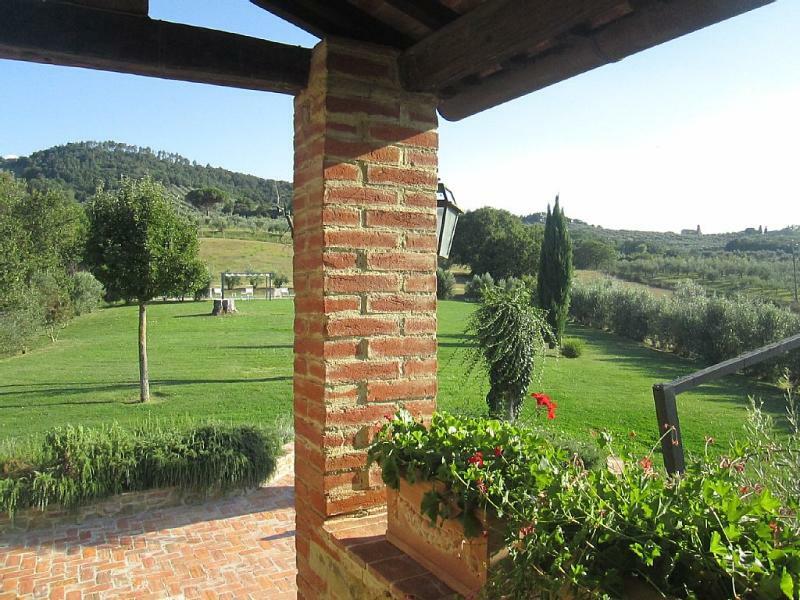 You are away from it all in the hills of Umbria and Tuscany. The Villa has been beautifully restored to blend terracotta floors and wooden beams with quality furnishings and equipment to create a house which has kept its traditional charm while responding to modern needs for space, comfort and style for an unforgettable holiday in Umbria and Tuscany. The holiday rental Villa has a large private pool (12m x 6m) that benefits from the sun all day and overlooks the wooded valley and the rolling landscape of Umbria. 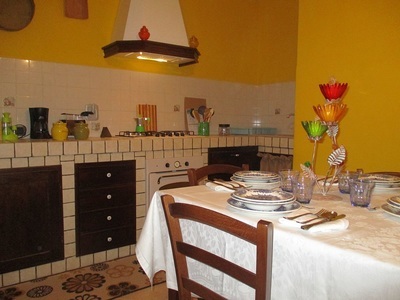 This is not just a self catering holiday villa. 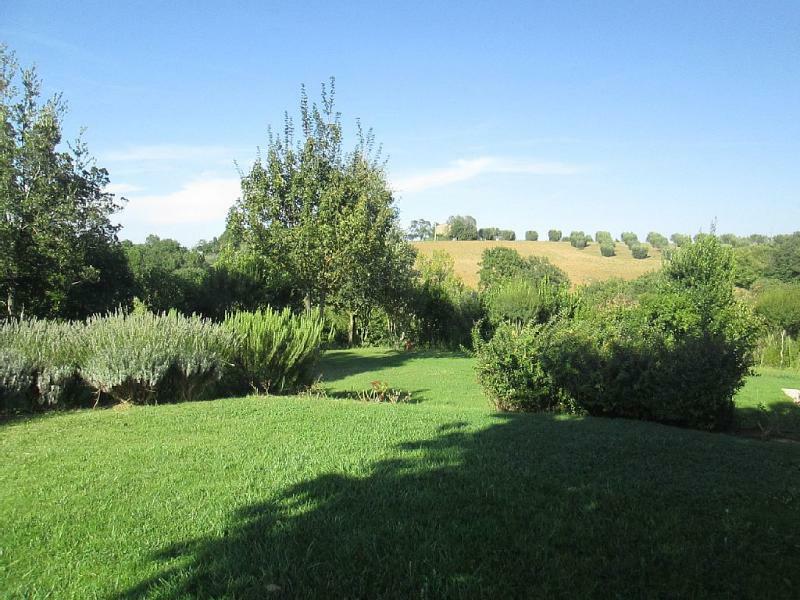 Enjoy your own 7 hectares estate to roam with olive trees, wild meadows, and woodland walks amongst oak, chestnut, pine and cypress. 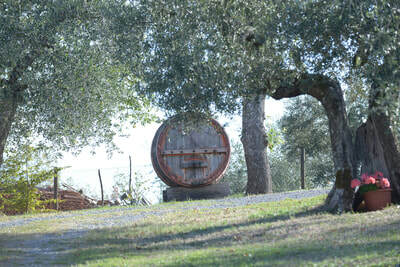 This is county life in Italy at its best. You may even see eagles, deer or porcupine or hear the sound of a wild boar. 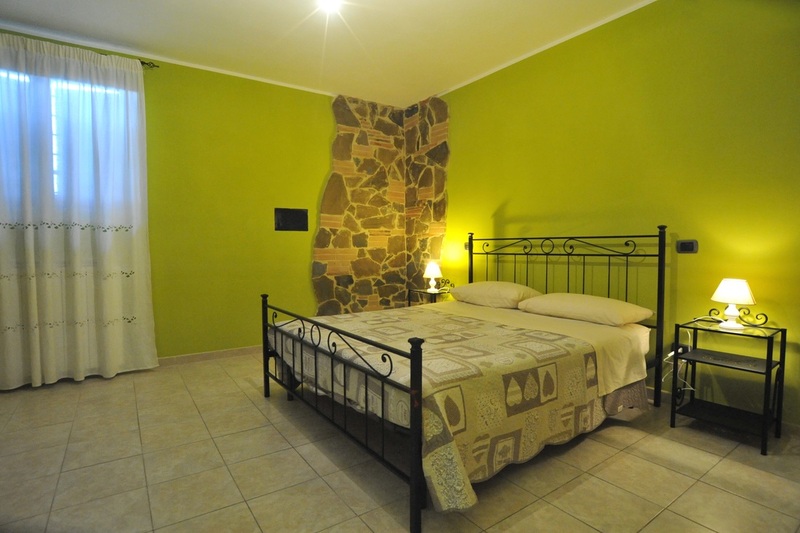 It has 7 large private bedrooms with 4 full bathrooms with showers and 1 Jacuzzi. 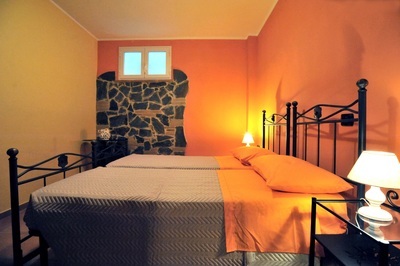 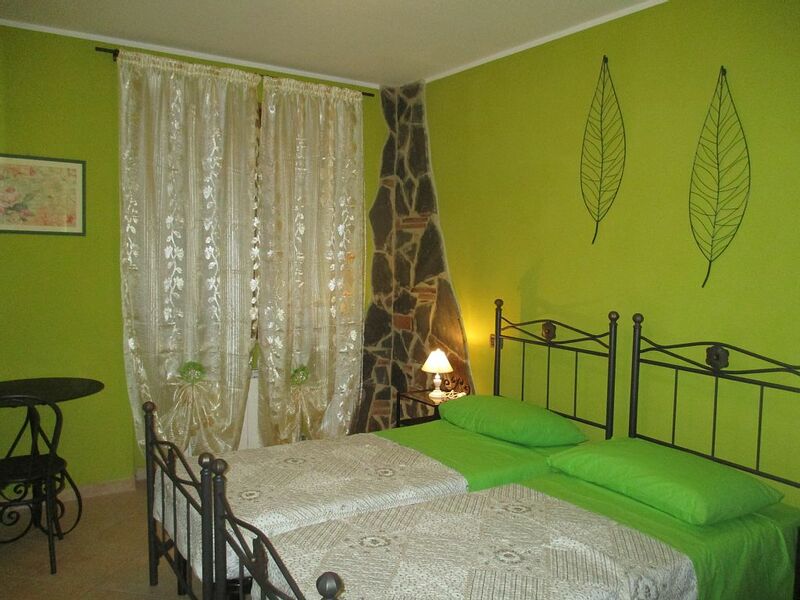 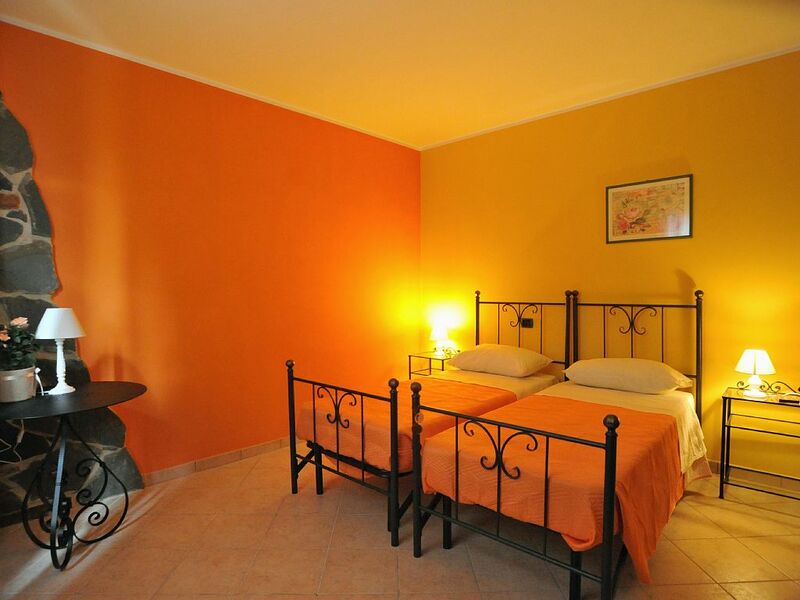 The Villa has 5 double bedrooms + 2 twin bedrooms + convertible sofa beds (perfect for children). 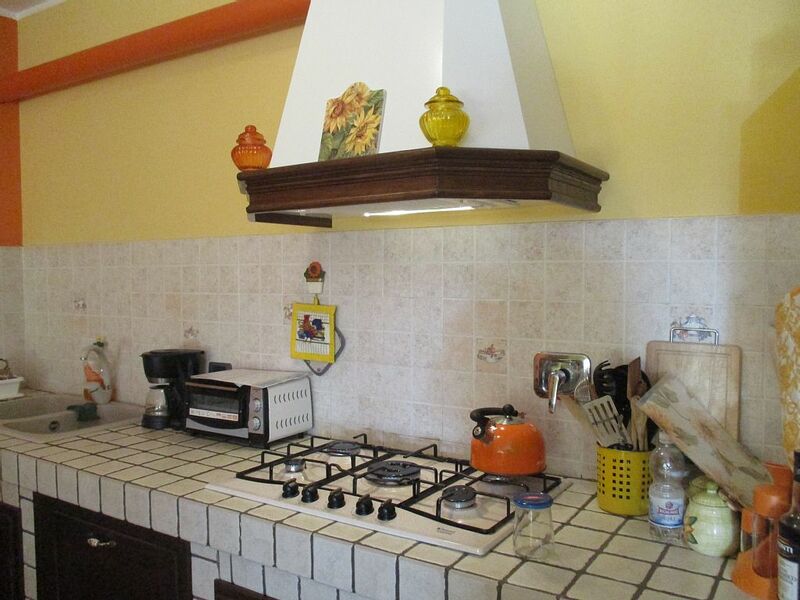 A well equipped open kitchen with two outside accesses ( there is also a pantry). 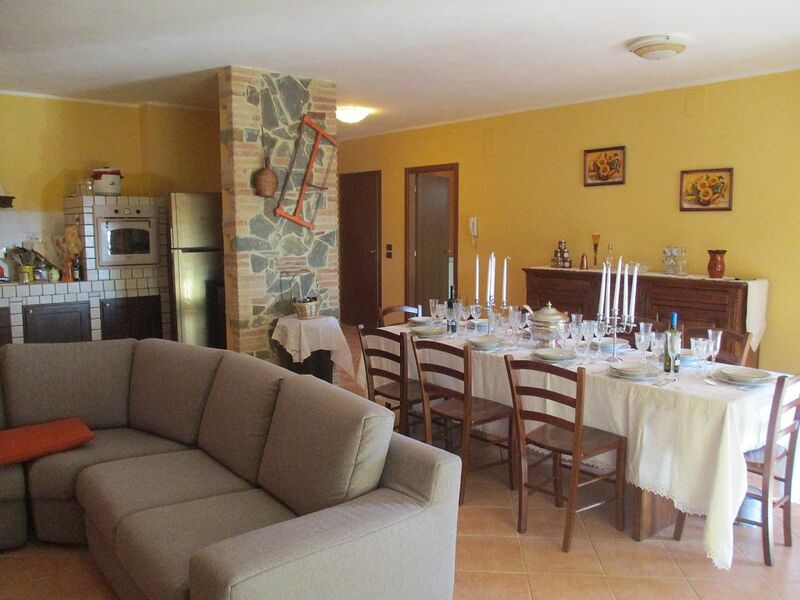 The living room is cosy with sofas and table and has a large fireplace. 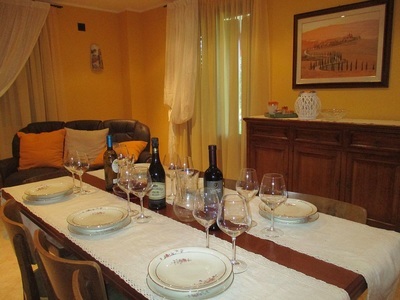 Currently a HIFI system and satellite TV are available. 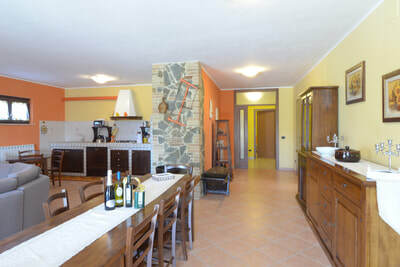 At the ground floor one will find a large lunch/dining area that has an open connection with the kitchen and living room. 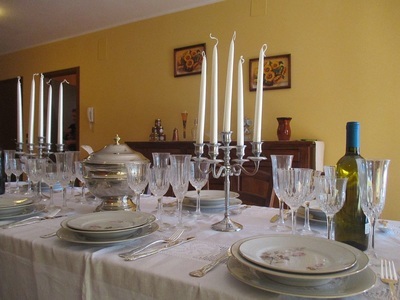 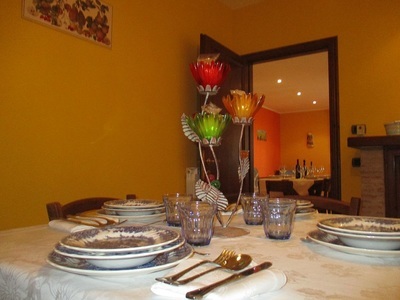 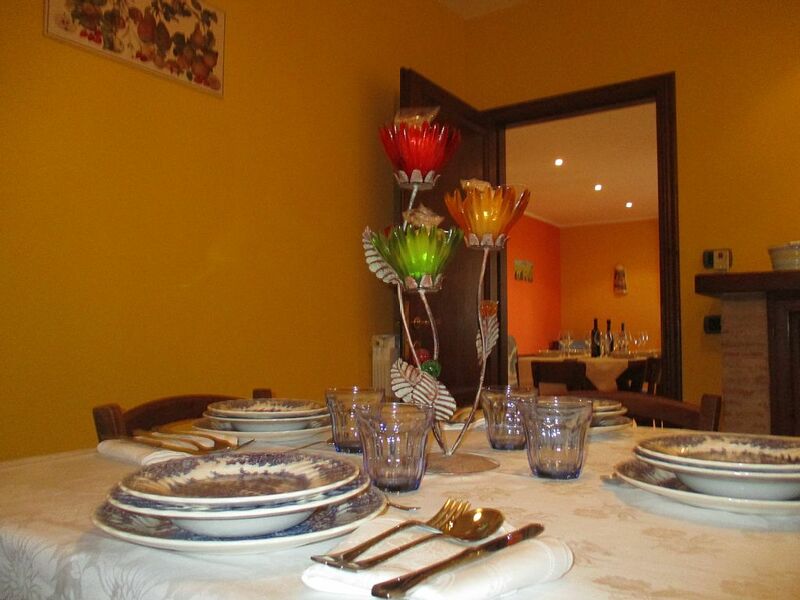 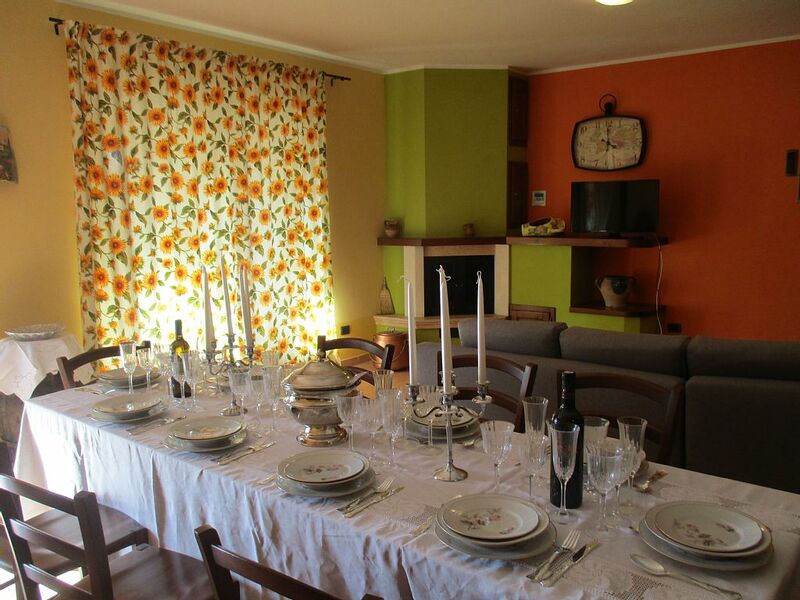 Villa Gli Olivi has a large private garden equipped with table and chairs and barbecue. Here one can enjoy long Summer lunches or evening dinners. 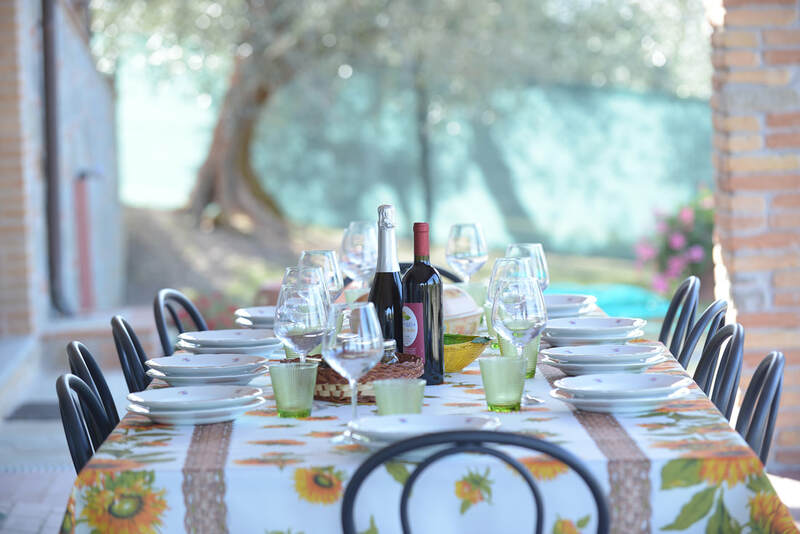 The Villa with pool makes a wonderful summer venue but spring, autumn and winter are all wonderful seasons to enjoy VILLA GLI OLIVI. We have full central heating and woodburning stoves for the cooler times of year in Umbria and Tuscany. 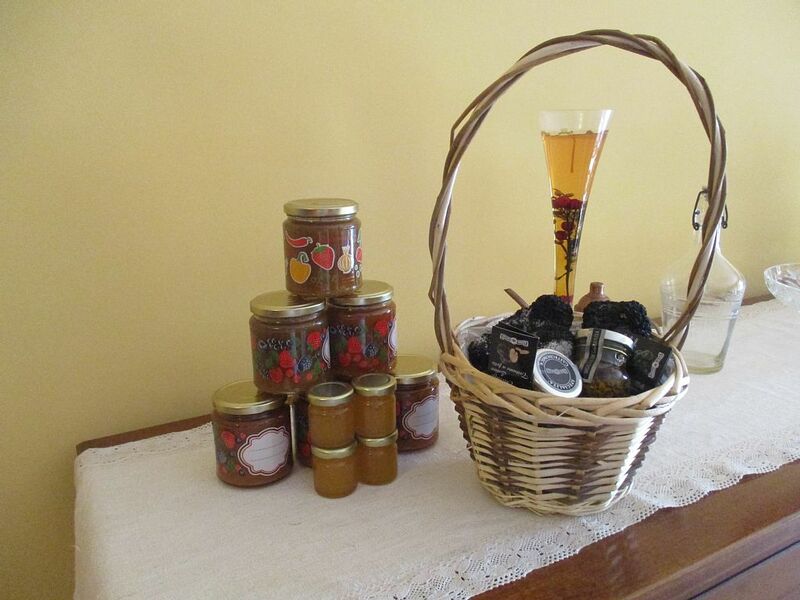 Spring brings the spring flowers and the forests begin to burst with life. 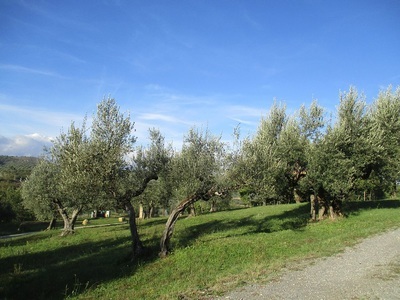 Late summer and autumn is a special time with wonderful autumn colour - wild blackberries and plums to gather, aswell as the olives becoming ready for harvesting in late October and November. 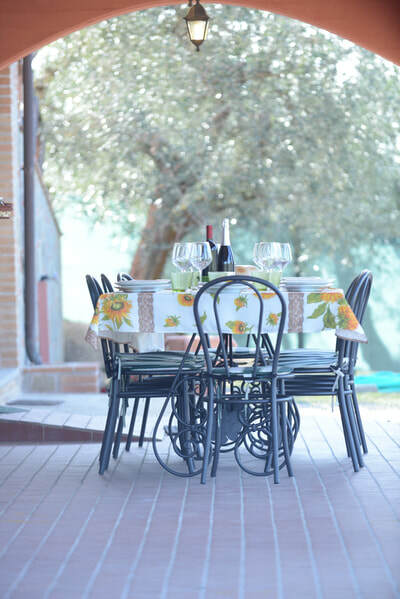 It is of course cooler out of season and for some that means they can really enjoy fully all the activities and sightseeing opportunities. 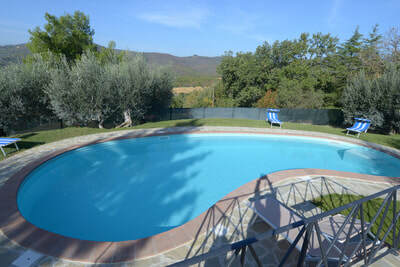 Have a nice holiday to our Villa in Umbria! 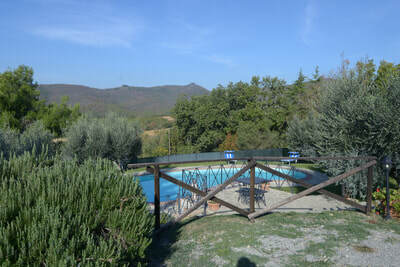 If you see the pictures, you can better understand your holiday here in Umbria!!! ABSOLUTELY FANTASTIC!!! 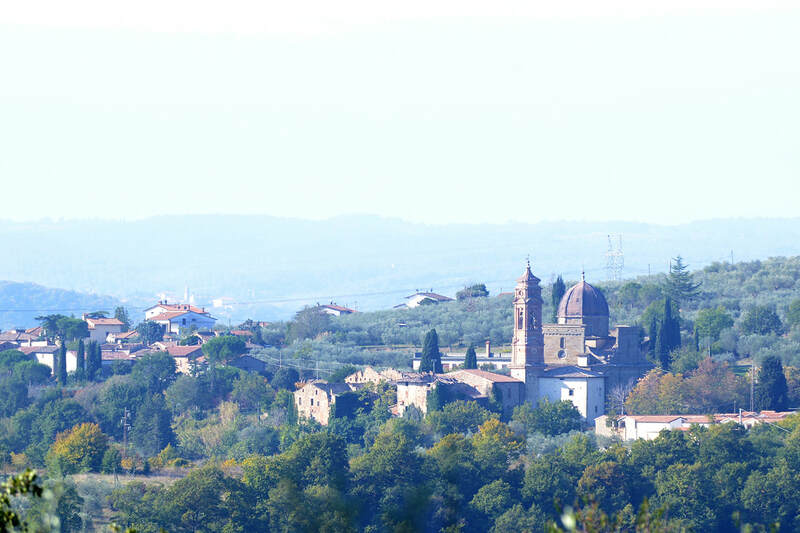 the sun all day long. No traffic noise except the occasional farm car or tractor. 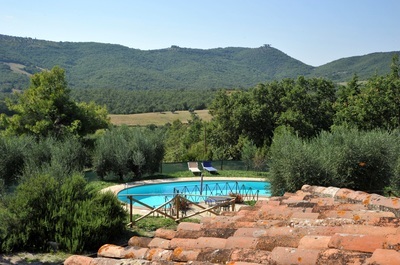 You are away from it all in the hills of Umbria and Tuscany. 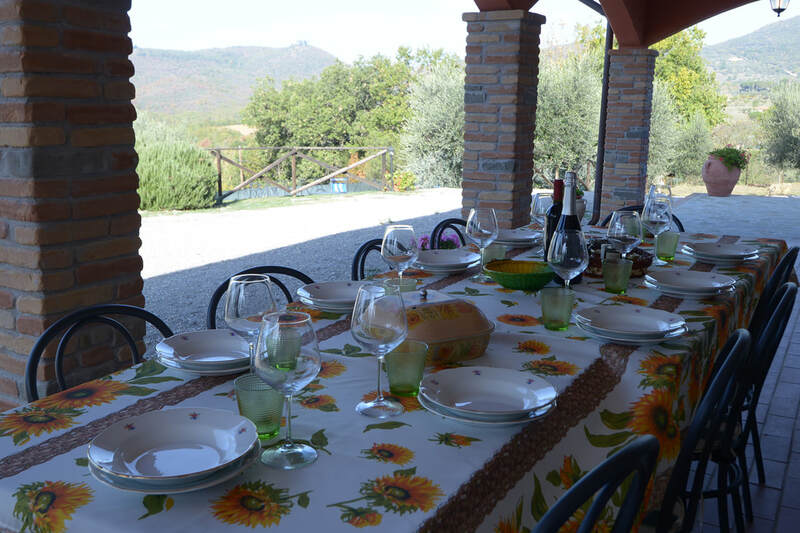 The Villa has been beautifully restored to blend terracotta floors and wooden beams with quality furnishings and equipment to create a house which has kept its traditional charm while responding to modern needs for space, comfort and style for an unforgettable holiday in Umbria and Tuscany. 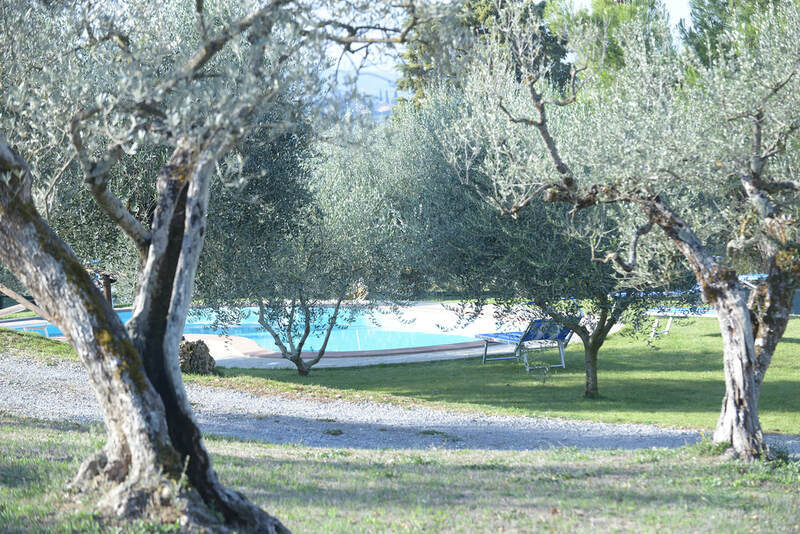 The holiday rental Villa has a large private pool (12m x 6m) that benefits from the sun all day and overlooks the wooded valley and the rolling landscape of Umbria. This is not just a self catering holiday villa. Enjoy your own 7 hectares estate to roam with olive trees, wild meadows, and woodland walks amongst oak, chestnut, pine and cypress. 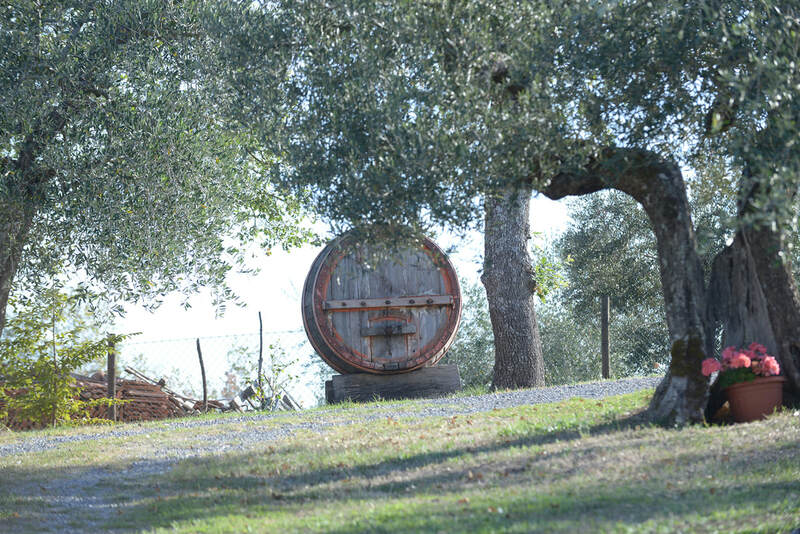 This is county life in Italy at its best. You may even see eagles, deer or porcupine or hear the sound of a wild boar. SPECIAL PRICE X ADVANCE BOOKING 2019!